Private Dancer has stamped herself as a serious WA Oaks contender next month, after a dominant win in the Listed Challenge Stakes (1500m) at Ascot this afternoon. The Trevor Andrews-trained filly returned a fortnight ago with an impressive win carrying 59kg, and was vying for favourtism with another last start winner Showcase before the feature event. On a day where it was an advantage to be on the speed, Private Dancer was forced to settle back in the field for jockey Chris Parnham, as Abdicator and Paradise Square set a solid tempo in front. Parnham had to be patient with the Oratorio filly on the turn for home, as she was in an awkward spot. However, the gap presented for the in-form Parnham, and once the filly got clear running she was too strong for her rivals. Showcase ran home well to finish second, while Abdicator battled on for third. Andrews said Private Dancer would continue to the Ascot 1000 Guineas in a fortnight as she continues her WA Oaks preparation, but indicated the longer distances would test her. “She’s not really bred to stay,” he said. “She is racing pretty well, so we will keep stepping her up and hopefully she keeps performing. 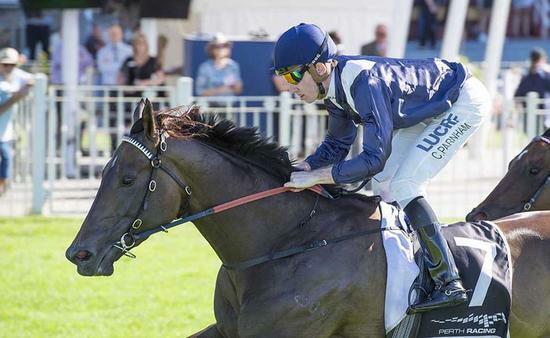 The build up to the WA Derby continues next week, with the running of the Listed Lex Piper Stakes (1600m).